Stupidity Level TEN of TEN. I found this e-mail with an attachment (a picture) when I was going through and deleting old e-mails from my Hotmail inbox. This e-mail sent by my friend last year, and I don't know who the first sender was. 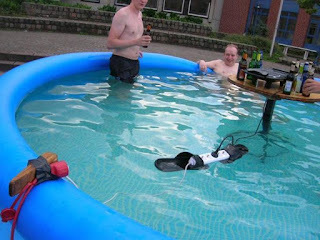 Also, I don't know who the GENIUSES are, and why they thought this was safe..
geez i hope they're still alive! amen.